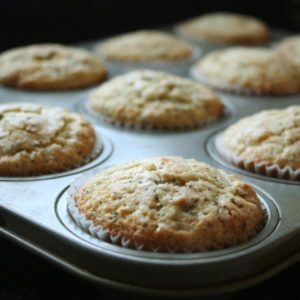 Classic lemon poppy seed muffins with a little boosted flavor from buttermilk and browned butter. 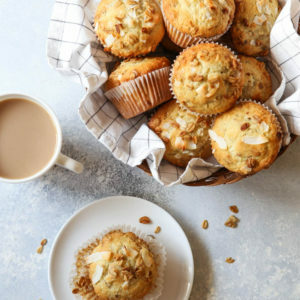 Whether you’re buried under a few feet of snow, enduring sub-zero temperatures, or laughing at the rest of us while you enjoy warm sunshine and flip flops, here are ten ways in which these Lemon Poppy Seed Muffins will brighten your day. 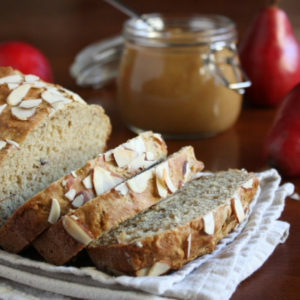 You can enjoy a delicious fresh baked good in under thirty minutes from start to finish. 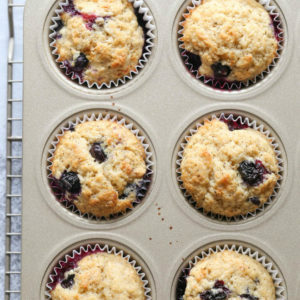 These muffins make a great addition to your weekend brunch menu. There’s brown butter involved (I’m becoming way too predictable)! Share them with friends and see how popular you become. Take one to go as you head out the door in the morning. 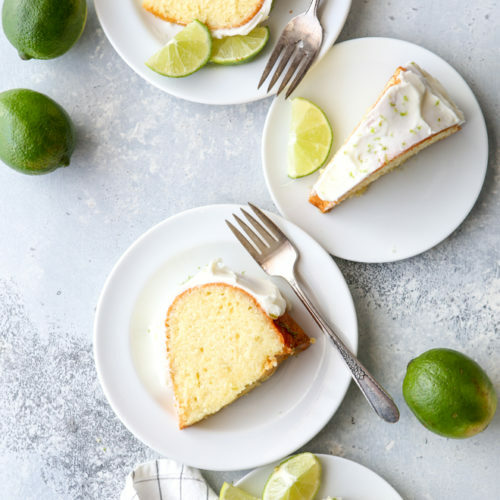 Jazz them up with a little lemon glaze… yum. These are waaaay better (and better for you) than the processed ones you find at coffee houses, grocery stores, and vending machines. Your mid afternoon snack just got tastier. Simple ingredients plus a no fuss recipe make for a simply delicious muffin. How can a muffin with a little crunch of poppy seeds, a hint of nutty brown butter, and a burst of lemon flavor not brighten your day? 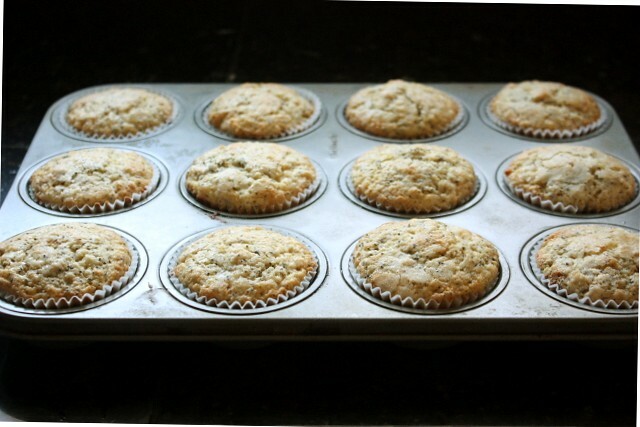 Preheat oven to 400 degrees F. Line a muffin pan with paper liners or grease with butter and flour. In a large bowl, rub the lemon zest with 3/4 cup sugar until thoroughly combined. Stir in the flour, baking powder, baking soda, and salt. 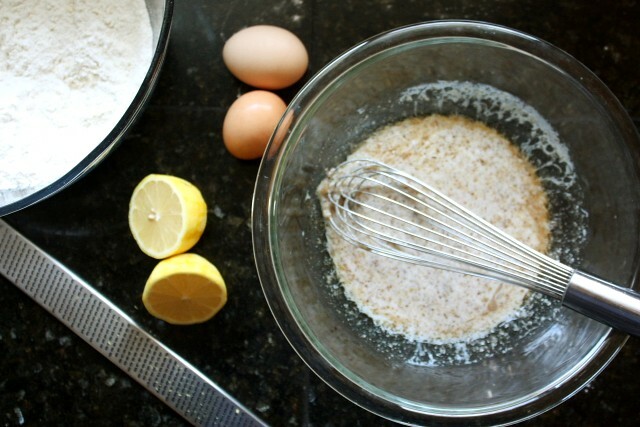 In another bowl combine the eggs, buttermilk, vanilla extract, browned butter, and lemon juice. Add the wet ingredients to the dry ingredients and stir until just combined. Fold in the poppy seeds. Spoon into the prepared muffin pan to about 2/3 full. Sprinkle with the remaining 2 tablespoons sugar. Bake until golden and a toothpick inserted into the middle comes out clean, about 15 to 18 minutes. Cool on a wire rack. To make the glaze, stir together the powdered sugar and lemon juice. Pour over the tops of the cooled muffins. My day is brightened just seeing pics of them, lovely looking muffins. 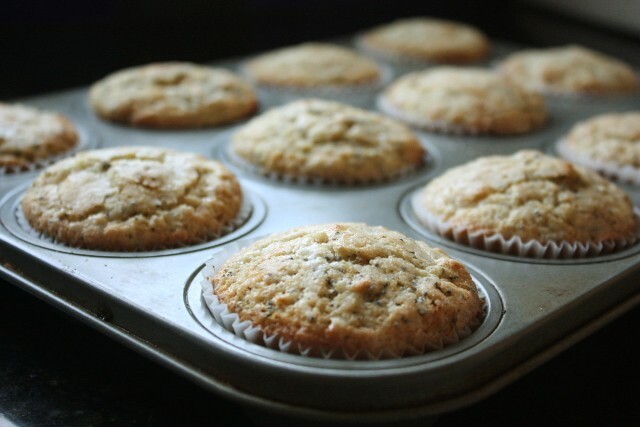 Lemon poppy seed muffins are always a favorite. They look wonderful! I'm totally addicted to the lemon-poppyseed loaf from a coffee shop near work. Thanks for reminding me how stupidly easy it is to make my own. 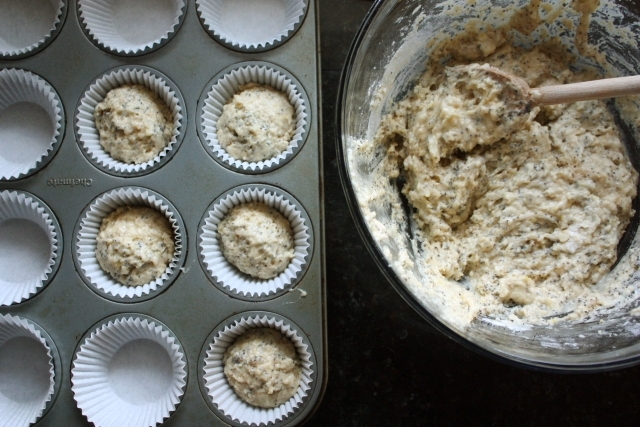 Poppyseed muffins are my absolute favorite, and yours look perfect, Annalise! Love that glaze on top, too. Yum! I think I would prefer lemon for muffins though. Thanks for sharing! MMMMM!!! 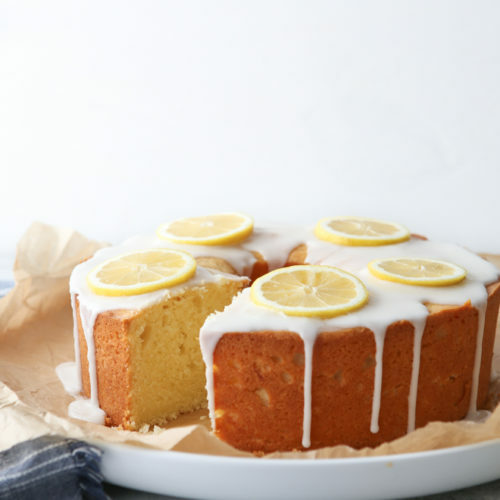 I love anything with lemon (and the poppyseeds don't hurt, either!) Yum! Thank you!